Life How to deal with Revenge and Hate feelings?? 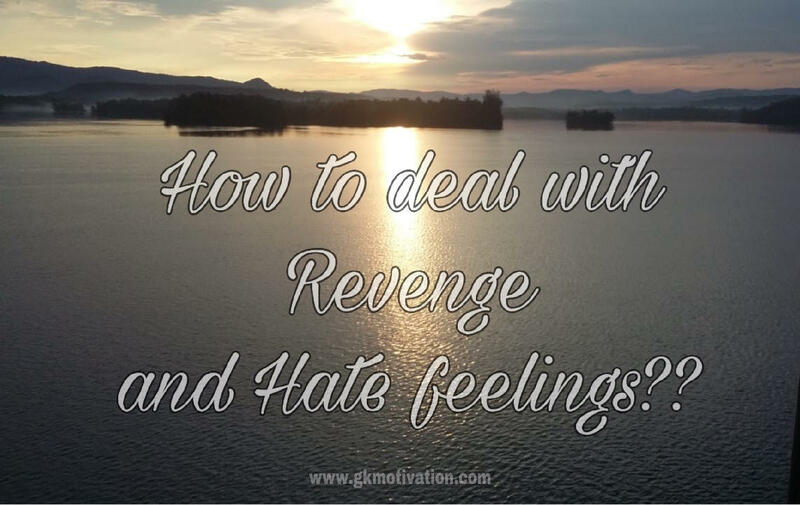 How to deal with Revenge and Hate feelings?? If there is one emotion that is completely void of the essential quality of good sense, tolerance, accurate, thought and wisdom, it is that emotion we call Revenge. It quickly derails one from his definite chief aim, causes a loss of focus, drains one's vital positive energy, and ultimately self- sabotages one's own journey towards achievement. Instead of focusing on revenge when the motive overtakes you, why not focus on a blessing? Everyone can bless someone or something as a way of acknowledging their exposure to what they experienced or what they witnessed first or second hand. Acknowledge the affront, bless it and the perpetrator and then let it go! 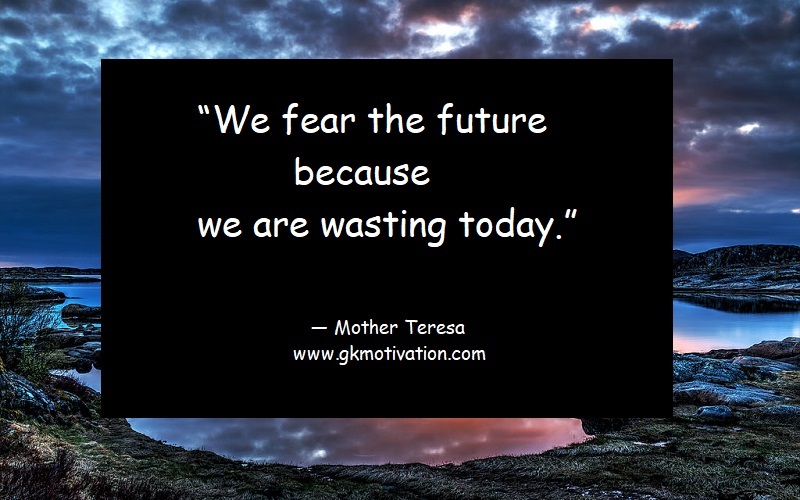 As you throw out the garbage, you will feel the grace of the decision made in your behalf. If you see something that is good, bad or in between that catches your attention, bless it and move forward. Revenge gets you caught in the track of retaliation, one-upmanship, and is always a train wreck about to happen. Why go there? Better to release the hurt that produced the desire to hurt back in the first place. You can do it. "For every minute you remain angry, you give up a sixty seconds of peace of mind. - Ralph Waldo Emerson"
When we feel crossed or wronged, the desire for revenge pushes our rational capacity into the background. Emotion rules and heads roll. In the end, however, both parties are harmed. The one who causes the situation and the one who responds to it in an aggressive, vengeance-seeking way are both injured. Although the feeling of getting even with someone is basically human, it is utterly wasteful. It builds or improves nothing- and no one. Holding a grudge can result in only one thing- a negative mental attitude, which is exactly opposite to the constructive or positive mental attitude which is required for success. Getting angry and holding hatred in our hearts is waste of mental energy, a dissipation of our psychic force and an unproductive use of our precious time. You would be astounded, however, to know how much energy some people put into the desire for revenge- and the desire to strike back. "The emotion of hate is not like an arrow, but is in fact like a boomerang, which if aimed at others with an intent to harm, will ultimately only come back more forcefully to the person who launches it." Hate is truly a double-edged sword because it can wound our creativity and cause us to become frozen in our tracks toward success. It can become a perpetual detour or roadblock that forces us into a standstill and handcuffs us emotionally. Hate is as much a disservice to ourselves as to anyone we direct the hate towards. The emotionally charged actions ricochet back to both the doer and receiver of the hateful intention and keep the cycle going. Hate has no ending other than negativity. In this regard, two negatives do not equal a positive. The art of turning the other cheek is not for the benefit of the perpetrator, but for the benefit of the person being wronged. By removing yourself from the equation, you refuse to take part in the negativity that can quickly grow out of control. As you stand back, gain perspective, and refuse to participate, you capture the upper hand in an emotionally charged confrontation. "People won't have time for you, if you are always angry or complaining - Stephen Hawking." Transforming hate into love is probably the hardest thing to do in this world. It's like turning base metal into gold. Alchemy of the spirit can transform each one of us from our lowest to our highest self just by the realignment of our thoughts, feelings and emotions. But it is worth the ultimate effort. See what happens when you decide that revenge, hate and retaliation are not worth your investment of time. Focus on what really counts and begin to put your best foot forward. When you look back at your life, have an album of lifetime achievements to remember rather than an album of regrets. Make the most of what you are given. "The more commonly expressed negative emotions and the more dangerous are: fear, anger, jealousy, revenge, vanity and greed. These are the seven robber barons which often deprive a person of their opportunity of achievement because they make accurate thinking impossible. They should be under constant control and always subject to the closest scrutiny, for they lead to errors of judgement."